Neiman Marcus Last Call has got this Dani Mini Colorblock Crossbody Bag in black/sesame reduced to $15.44 (75% off) with free in-store pickup or free Shoprunner 2-day shipping. 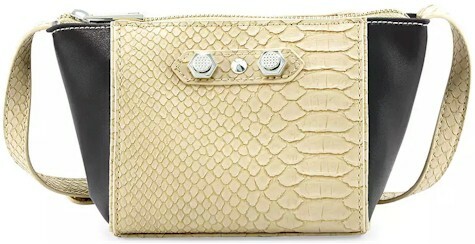 Neiman Marcus mini crossbody bag in snake-embossed faux leather (polyurethane). 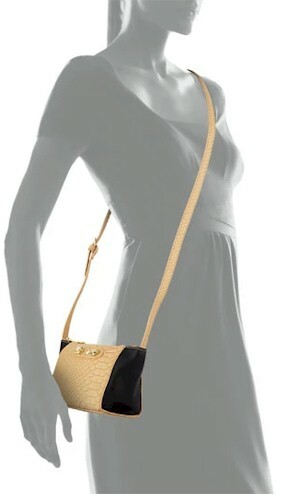 Crossbody strap with 24" drop. 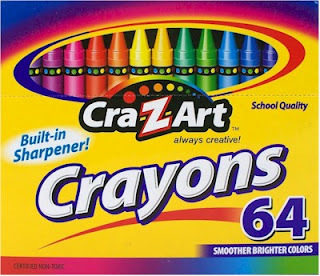 5"H x 5.8"W x 3.8"D.
Amazon has got this 64-count Cra-Z-Art Crayons with built-in sharpener for 67 cents, the lowest recorded Amazon price on this item (limit 10 per account). It got 4.3 out of 5 stars over 140 customer reviews. Walmart has got this set of four "antique linen" Mainstays steel folding chairs for $38.00 with free in-store pickup (or free shipping with a $50 minimum purchase). 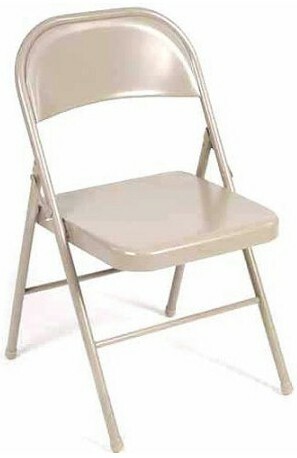 That comes to $9.50 per chair (cheaper than some chair rentals!). These chairs got 4.7 out of 5 stars over 33 customer reviews. LOWEST PRICE: LEGO Chain Reactions Craft Kit from Klutz for just $9.55 on Amazon. GREAT STEM toy! 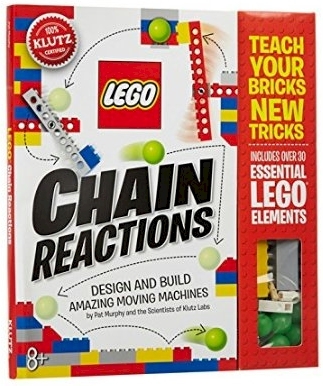 Amazon has got the LEGO Chain Reactions Craft Kit from Klutz for only $9.55 with free Prime/SuperSaver shipping, the lowest recorded Amazon price on this item. (The last time I posted this kit, it was $14.95 on Amazon.) 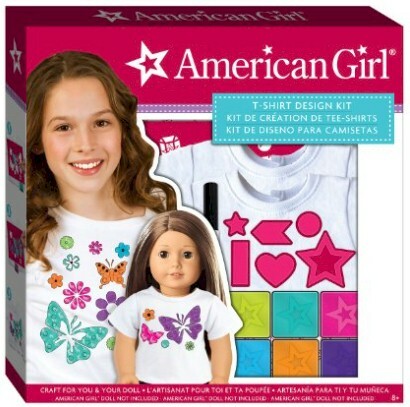 Compare to Creative Kidstuff regular price of $21.99. This highly-rated LEGO kit got 4.3 out of 5 stars over 294 customer reviews and is an Amazon #1 Best Seller in Children's Physics Books. 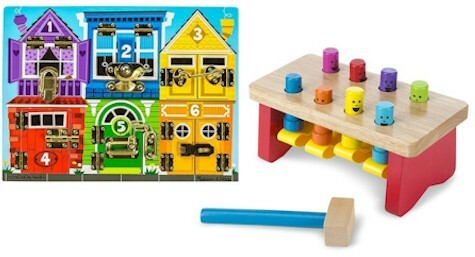 It works with any basic LEGO brick pieces to enable your child to teach your bricks new tricks and learn about kinetics, engineering, and how things work at the same time. 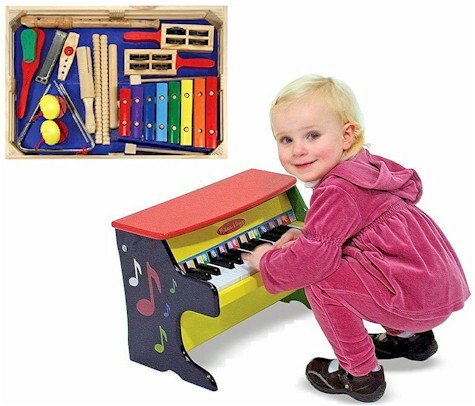 It's also a great and low-priced way to renew your child's interest in a LEGO set that he/she already owns. 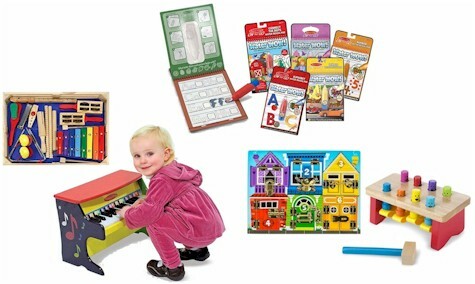 This is a terrific opportunity to introduce a STEM (Science, Technology, Engineering, Math) toy into your child's play. Amazon has got the super-popular Carcassonne board game for $9.95 with free shipping (no Prime account required), the lowest recorded Amazon price on this game. 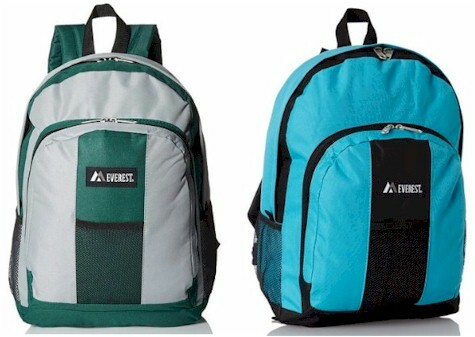 It ships within about 2-3 weeks, but at this price, it's worth the wait. It got 4.8 out of 5 stars over 352 customer reviews. Its average price on Amazon is $23.92, so this is a significant price drop. 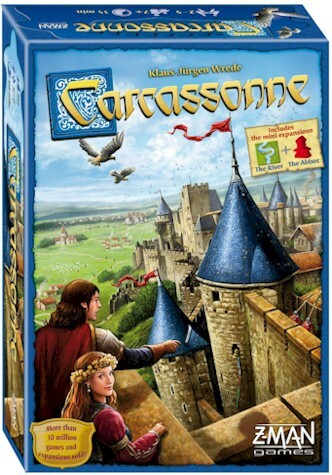 Description: The Carcassonne is a clever tile-laying game. The southern French city of Carcassonne is famous for its unique roman and medieval fortifications. The players develop the area around Carcassonne and deploy their followers on the roads, in the cities, in the cloisters, and in the fields. The skill of the players to develop the area will determine who is victorious. The game is for ages 8 and up and 2 to 5 players. Child's rain poncho, $2.11 on Amazon. Adult rain poncho, $1.49 on Amazon. 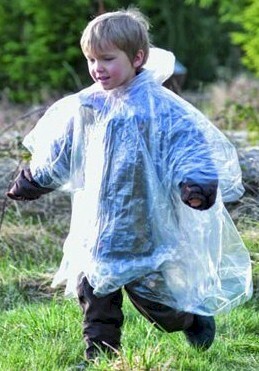 Amazon has got this child's rain poncho for $2.11. Its 30" x 40. 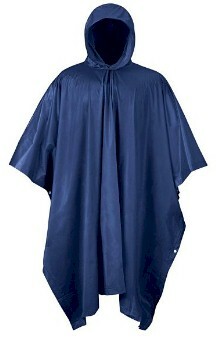 Amazon has also got this universal rain poncho for adults in navy for $1.49. Its 50" x 80". We keep ponchos like this in our cars' glove boxes for sudden bad weather. No quantity limit on either item. 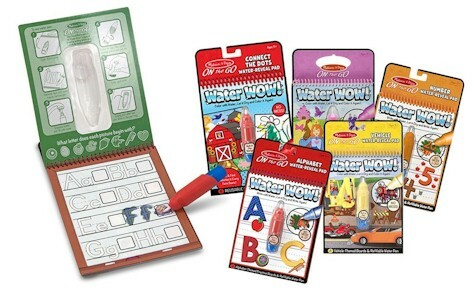 Amazon has got Elmer's Washable No-Run School Glue, 4 oz. 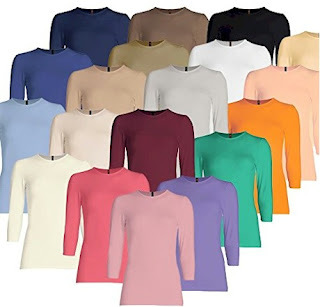 for $0.50 with free Prime/SuperSaver shipping. 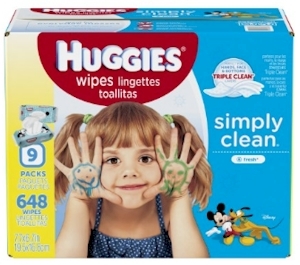 Super-rare 35% off coupon on Huggies wipes and diapers = fantastic savings on Amazon! Got baby? It's stock up time on Huggies wipes and diapers! 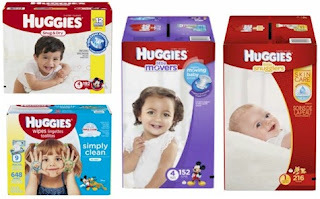 If you’re an Amazon Family member (if you are a Prime member, you can get Amazon Family for free here), Amazon has got some amazing deals on Huggies wipes and diapers, when you stack a super-rare 35% off online coupon with the maximum 20% off Amazon Family Subscribe & Save discount on diapers and maximum 15% off on wipes, for a total of 55% off to 50% off! WOW! Here are some examples of great deals that you can put together with these coupons. 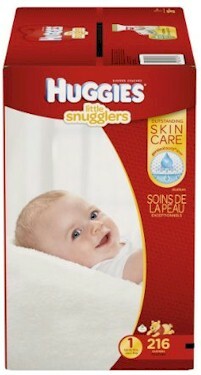 Huggies Simply Clean Unscented Baby Wipes, 648 total, $12.97 - 35% coupon -15% Subscribe & Save discount = $6.49 shipped. 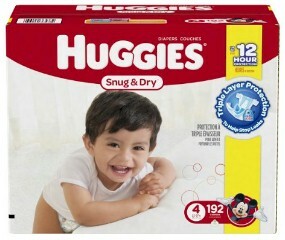 Huggies Snug & Dry Diapers, Size 4, 192 Count (One Month Supply), $38.38 - 35% coupon - 20% Subscribe & Save discount = $17.27 shipped (9 cents per diaper). Huggies Little Snugglers Baby Diapers, Size 1, 216 Count (One Month Supply), $38.99 - 35% coupon - 20% Subscribe & Save discount = $17.54 shipped (8 cents per diaper). 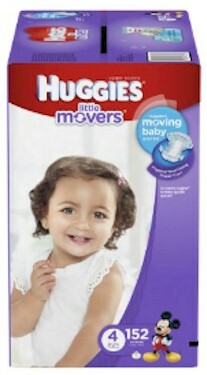 Huggies Little Movers Diapers, Size 4, 152 Count (One Month Supply), $38.99 - 35% coupon - 20% Subscribe & Save discount = $17.54 shipped (8 cents per diaper). EXPIRED: 6 lbs. of Rainbow Cookies for $17.18 with free shipping from Amazon (pareve, Pas Yisroel). That's $2.86 per lb. shipped! Amazon has got this 3-lb. 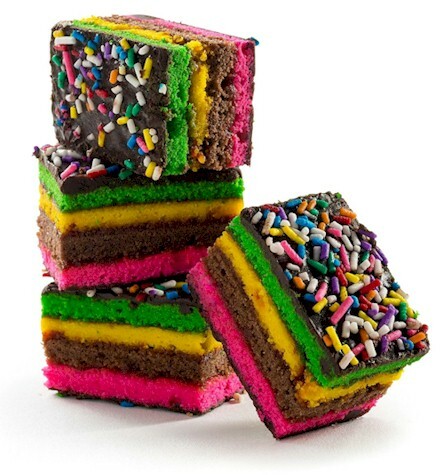 package of Gimmee Jimmy's Rainbow Cookies for $42.95, but add 2 of these to your cart and that price drops from $85.90 to $17.18 with free shipping for 6 lb.s of rainbow cookies! That's $2.86 per lb. of rainbow cookies shipped! These cookies are under the kosher supervision of the OK, are Pas Yisrael, Pareve, and Yashan (I have written confirmation from the OK). Shipping generally takes about 7-12 days. Premium All-Natural Kosher Certified Rainbow Cookies, Freshly Baked and Always Soft. Shipped Fresh Daily Across America, Perfect Gifts for the Home, Office, or Any Occasion! Dairy Free (Parve) Soft Rainbowl Cookies are Perfectly Delivered in a Beautiful Cookie Tin and Branded Box for Maximum Effect. In order to get this price, add only two of these two your cart, no more and nothing else from Gimmee Jimmy's (order them in a separate shopping cart if you like). Stock up now for YomTov (these can go right in the freezer).